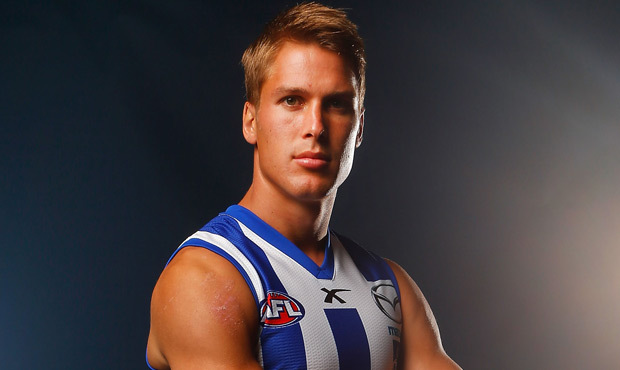 Australians can be football-made – that’s true – but one of the more interesting events in religious affairs in recent weeks was the public statement by AFL North Melbourne captain Andrew Swallow praising the AFL for not scheduling football matches on Good Friday – interesting because to risk so obviously publicly identifying one’s self as a Christian these days is also to risk inviting ridicule from many quarters. We could say that in a business where sporting stars are treated as gods, Andrew Swallow was risking losing much of his status as one of the nation’s best footballers by being associated with something as outdated as Christianity. Yet Andrew Swallow’s opinion was, whether he realised it or not, also a public witness and therefore something of an act of courage. At the heart of the issue were a number of things but not the least important is that it is remarkable to think that 2000 years after an individual was executed on a cross in a far-flung corner of the Roman Empire, people in Australia and around the world still pause in great numbers to remember him, the words he spoke and everything we know about his life. This is basically what Good Friday is about and the large numbers were obvious in last week’s special edition of The Record. In fact, we could say that whether they realised it or not all those thousands of Catholics and other Christians who gathered for services, liturgies, re-enactments and the like were publicly witnessing to their faith as well. The other thing at the heart of this issue is that, possibly because of our convict beginnings, Australia has never produced what might be called a resilient and high culture where traditions such as Good Friday were important for much other reason than inherited conventionality. This is why in the minds of some sporting organisations such as football clubs there is no problem with playing matches on a day which they see as essentially nothing more than a holiday. Their view is, of course, understandable given the limited information with which they would be making such decisions. The WAFL implemented Good Friday matches several years ago, as did the VFL, while in South Australia the decision to play SAFL matches was only made recently and in today’s Australia it is hard to visualise organisations such as football clubs taking factors such as the traditional religious significance of days like Good Friday into account when there are other more alluring reasons to go the other way. We cannot help admiring and applauding Andrew Swallow for his public willingness to state his opinion despite the risk of being categorised or marginalised by the fickle thing called public opinion. It is interesting to note that Andrew Swallow is not a Catholic, either, but was educated at Perth’s Rehoboth Christian College. In fact, we wonder why more Catholics did not come forward to support his position? To insist on Good Friday’s solemn nature is not to try and impose some alien morality or perspective on those who do not believe but to recognise and respect the very origin of our culture and our society, even if, in many regards, numerous Australian leaders appear to be running away from such a thing as fast as they can. Another aspect of Andrew Swallow’s example was precisely that it was an example. If many prominent figures in our community came forward to defend the solemnity of days such as Good Friday it is entirely possible that decisions to reduce Good Friday to nothing more than an opportunity for a barbecue and a beer might be dropped. It is clearly a tendency in Australian life on the part of governments and businesses to increasingly try to take advantage of Christian religious holidays for purely business reasons or to do away with them altogether in the interests of the gods of efficiency and productivity. Paradoxically, if Good Friday, established in part to permit Christians to participate in the solemn commemoration of Christ’s passion and death, became only a public holiday there would be no reason to keep it. If there was no reason to keep it, there would be no reason to play football games on what was essentially a Friday just like any other working Friday. In this sense, football leagues such as the WAFL and others are really only trying to take advantage of something which is not theirs in the first place. Therefore it is somewhat interesting to wonder where, when the issue comes up as it does from time to time, the Catholic and Christian figures from all sides of politics who might, briefly, engage in a bipartisan show of solidarity were? Or where all the admired figures from the world of entertainment and public life were as well – actors, singers, business leaders and the like – those to whom our community often looks for examples of how to be? If growing numbers of prominent figures in our community who also happen to be Christian came forward at moments such as these to quietly but firmly insist on the importance of social respect and tolerance for religious belief it is entirely possible that such occasions will remain as a significant moment in the nation’s year and its culture. It would be a good thing for our society because such voices can point us towards what is important in our lives, individually and as a community. That would be worth doing and it took the example of a young outstanding footballer from a Christian school in Perth to show that.